As animation and VFX software becomes more accessible to filmmakers and broadcasters of every budget, Noitom will demonstrate to the computer graphic and interactive technology community of SIGGRAPH how their motion capture system works seamlessly with 3D platforms to create high-quality visuals for large and small productions leading the way to the future of on-screen storytelling. iClone 7's Character Creator offers unlimited fully-rigged 3D characters for real-time animation with Character Creator. Combining solutions like iClone and Facerig with Perception Neuron opens up new avenues to creators once thought unimaginable, and we’re only beginning to scratch the surface of what is possible. Perception Neuron, the go-to motion capture tool for game developers, VFX artists, filmmakers, animators, and online content creators will mark its fourth appearance at the SIGGRAPH conference and expo, showcasing it’s latest advancements in motion capture to engineers, artists and computer programmers attending the 44th annual conference, taking place July 30-August 3 in Los Angeles at the Los Angeles Convention Center. Noitom, which will be featuring its Perception Neuron motion capture system during the event, taking part from August 1-3 from the conference’s main floor at booth 844. As hundreds of attendees from around the world convene on the Los Angeles Convention Center to indulge in all things computer graphics-related, Noitom will be presenting their versatile and easily-set-up motion capture system alongside FaceRig’s real-time facial animation software for broadcasting, presenting for the first time a truly affordable solution for complete head to toe motion capture, and the robust live character animation software of Reallusion’s iClone that is ideal for previz and character customization. Since its inception, Noitom developed Perception Neuron to be a versatile and affordable motion capture solution which can combine cohesively with professional 3D animation software to create realistic, professional visual results. For this year’s SIGGRAPH conference, Noitom is inviting guests to come see them during the show by offering complimentary Exhibits Only passes. Anyone who would like to to receive one of the passes must register on the SIGGRAPH 2017 website and when prompted, enter the code Noitom17 to access the complimentary pass. The 44th SIGGRAPH Conference on Computer Graphics and Interactive Techniques take place from July 30-August 3 at the Los Angeles Convention Center. For more information visit http://s2017.siggraph.org/. Founded in 2011, Noitom Ltd. works with a team of dedicated engineers who develop world-class motion capture technology for consumer and industrial markets through the integration of MEMS sensors, pattern recognition, human kinetics and wireless transmission. Noitom is an international leader in innovative technology for use in animation, film, medical applications, robotics and gaming. Noitom is headquartered in Beijing with affiliate offices in Shenzhen. For further information about Noitom and its services, please visit, http://www.noitom.com. For general inquiries, please email, contact(at)noitom.com. 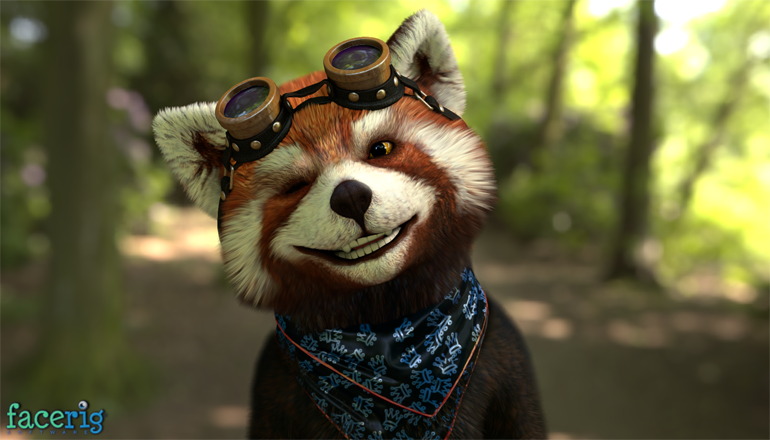 FaceRig's real-time facial animation software allows users to embody their own characters.